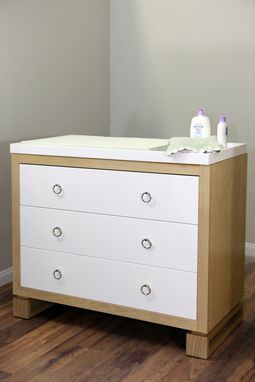 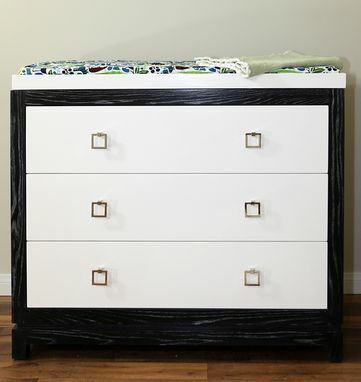 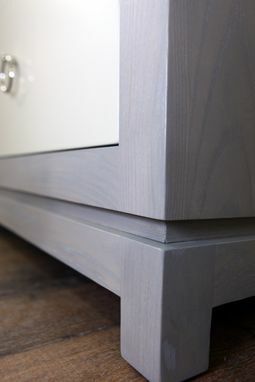 This modern dresser is accented in our high sheen modern White Lacquer and Natural Wood, and converts easily to a changing table by adding the tray. 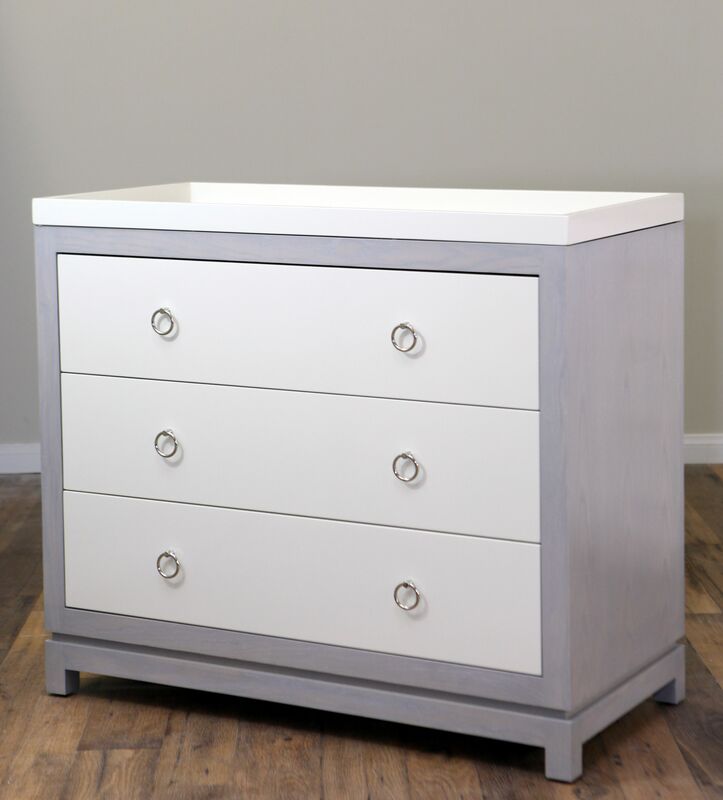 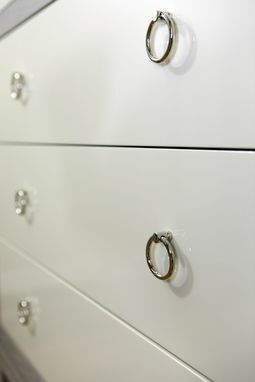 The dresser is the perfect size for any room, and the polished nickel ring pulls add a bit of formality to this playful piece. Dresser: 44" Wide X 21" Deep X 36"H.